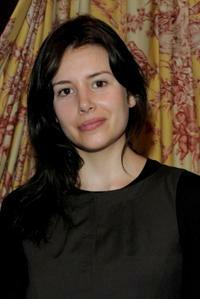 Louise Monot at the screening of "The Private Lives Of Pippa Lee" during the 35th Deauville American Film Festival. Deborah Francois, Frederique Bel and Louise Monot at the screening of "City Island" during the 35th US Film Festival. Deborah Francois and Louise Monot at the screening of "City Island" during the 35th US Film Festival. Aissa Maiga and Louise Monot at the screening of "The proposal" during the 35th US Film Festival. Louise Monot at the 35th edition of the American Film Festival. Aissa Maiga and Louise Monot at the 35th edition of the American Film Festival. Louise Monot, Jean Dujardin and Reem Kherici at the Paris premiere of "OSS 117 Rio Ne Repond Plus." Louise Monot and Reem Kherici at the Paris premiere of "OSS 117 Rio Ne Repond Plus." Louise Monot at the Paris premiere of "OSS 117 Rio Ne Repond Plus." Louise Monot at the "Espace Glamour Chic" Cesars Gift Lounge. Louise Monot and Jean Dujardin at the Paris premiere of "OSS 117 Rio Ne Repond Plus."